Hackers appear to have compromised and published private messages from at least 81,000 Facebook users' accounts. "We have contacted browser-makers to ensure that known malicious extensions are no longer available to download in their stores," said Facebook executive Guy Rosen. "We sell personal information of Facebook users. Our database includes 120 million accounts," the user wrote. Is Facebook's News Feed fading? 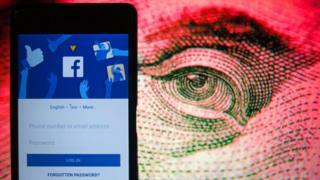 According to Facebook, it was one such extension that quietly monitored victims' activity on the platform and sent personal details and private conversations back to the hackers. The BBC Russian Service emailed the address listed alongside the hacked details, posing as a buyer interested in buying two million accounts' details. And when asked whether the leaks were linked to the Russian state or to the Internet Research Agency - a group of hackers linked to the Kremlin - he replied: "No."